sometime last year, yet another addition was made to the array of imperial treasure and crystal jade restaurants within ngee ann city (there are so many variations of the 2 brand names within that one building that i always find that i have to triple check which outlet is the one i’m meant to be heading to) – imperial treasure shanghai cuisine. 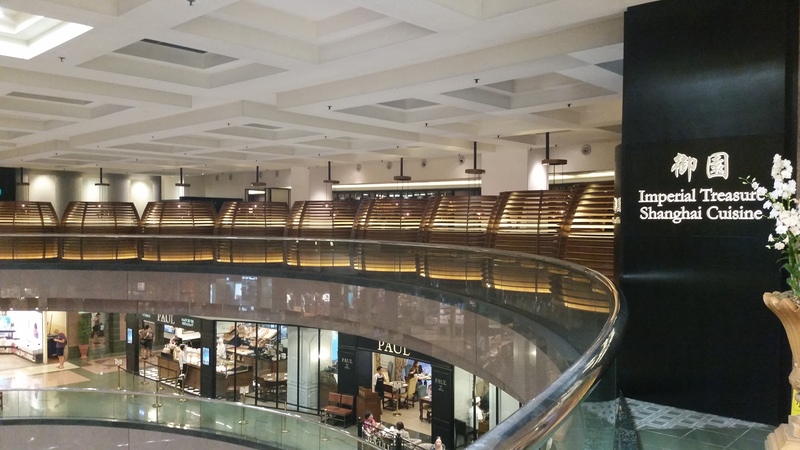 head up to the 4th floor of the building and you’ll find it where coca restaurant used to be; its hard to miss because of the row of cocoon-like booth seats lining the side of the restaurant. if not for the fact that our shanghainese family friends took us for dinner there one night, i probably would never have ventured into this restaurant. 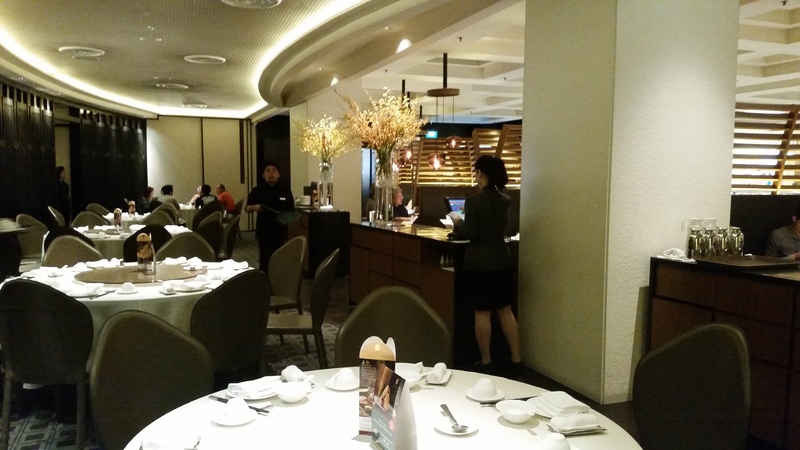 it exudes a fancier and more upmarket vibe than the regular chinese restaurant chains like crystal jade la mian xiao long bao or din tai fung, more like somewhere that you’d go to for a sit-down extended family dinner rather than somewhere i’d head to with friends for a casual dim sum meal. boy am i glad they took us there that one night though, because that was the fateful meal where i discovered my current favourite xiao long baos in singapore! 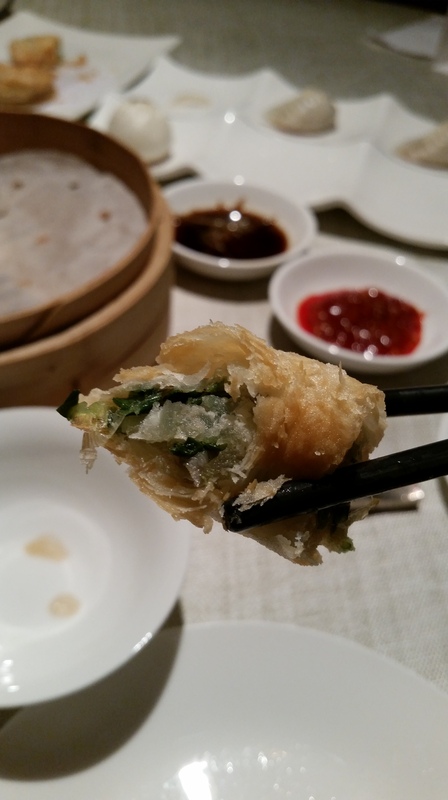 the great thing is that they serve dim sum even at dinner time, so i visited after work on a weekday night for my yummy shanghainese dim sum fix. service is top-notch and extremely attentive, and we were given a booth seat which was nice and cosy for two. besides booth seats, they also have a good number of private rooms and regular tables. i love how the area is quite spacious and the tables are well-spaced to afford diners privacy and a pleasant dining experience. between the 2 of us, we ordered 4 different dim sums and a bowl of noodles to share. would definitely have gone for more if not for the fact that i had a huge and late lunch that day! the meal started with the usual chilled braised peanuts that you get at chinese restaurants, and its worth mentioning that they were pretty good – well-braised to soft perfection and very nicely-flavoured too. 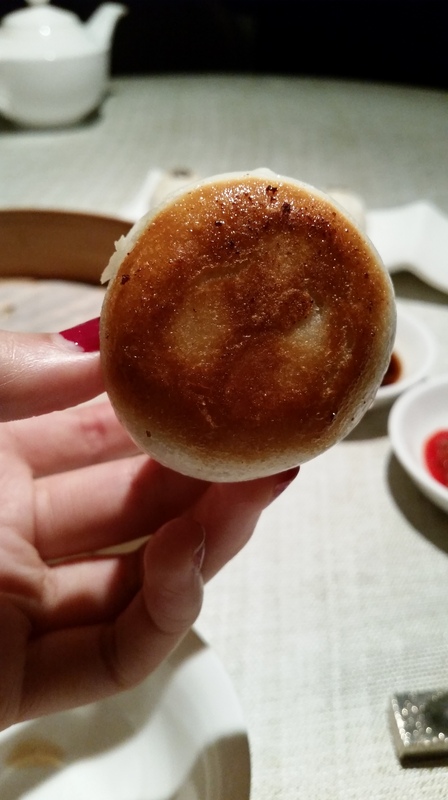 as i said above, these are my current favourite xiao long baos in all of singapore – they are divine! 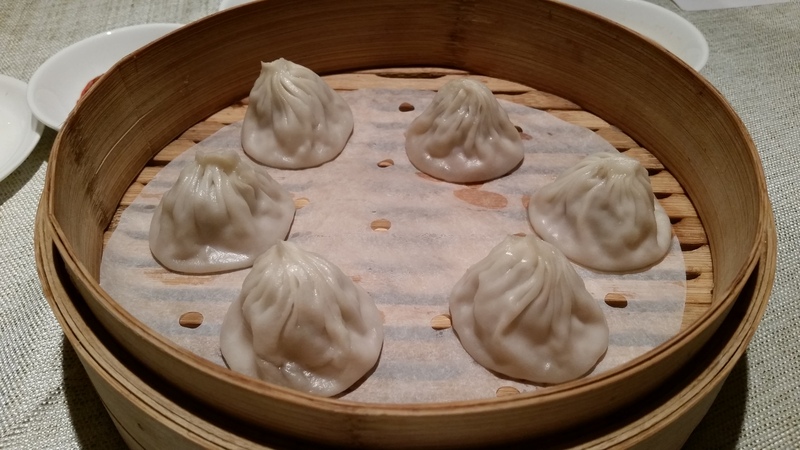 served piping hot, the xlb skin is smooth, delicate, moist and thin (but not too thin such that you have soup leaking out everywhere), bursting open to reveal wonderfully tasty soup and tender and juicy meat. love the crispiness that the lightly-charred base added to the pau which was a great addition of texture to the pau skin. 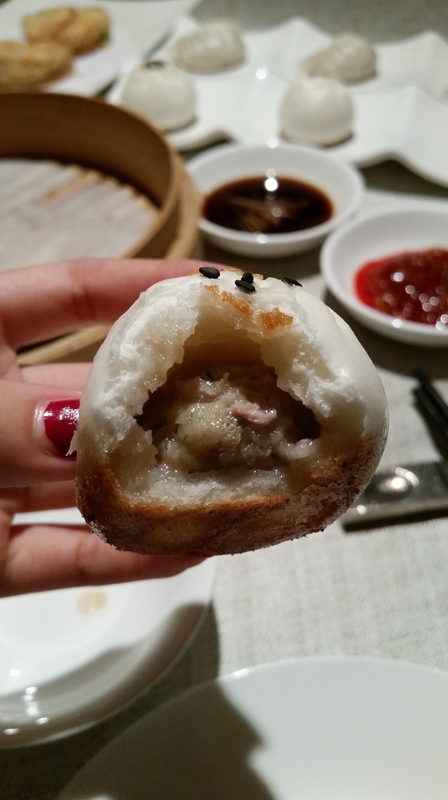 the pau skin itself was great – soft (but still retaining a nice chewy bite), light and of just the right thickness. as for the meat within the pau, it was actually pretty much like the xiao long bao filling, as moist and tasty and juicy as ever! together with the fluffy pau skin, this made for a great little pau. such perfectly pan-fried paus are not that easy to come by, so i’d recommend ordering this for a taste of some typically shanghainese dim sum. the last of our porky items for the day – guo tie, and they didn’t disappoint either! 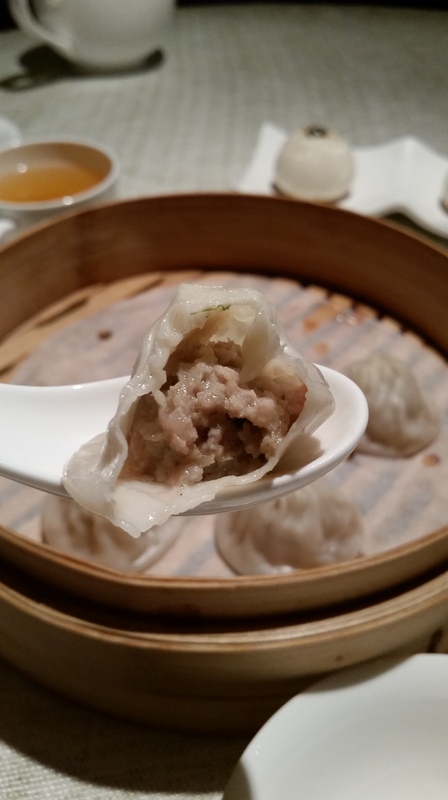 these delicious dumplings literally exploded when you bit into them, the piping hot porky juice filling your mouth. 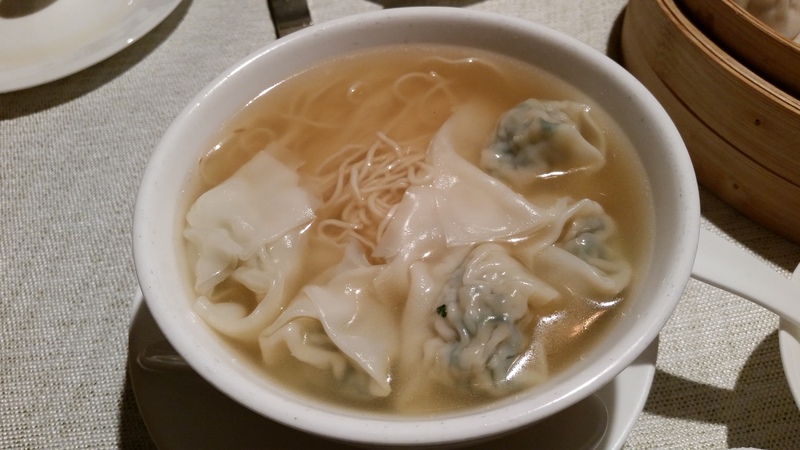 the skin was soft and thin but wonderfully crisp on the bottom, and each of them contained as much juice as the xiao long baos. definitely one of the better guo tie renditions i’ve had! this wasn’t quite what we expected as we were imagining more of a flat chive pancake-like dish. nevertheless, it was pretty good! 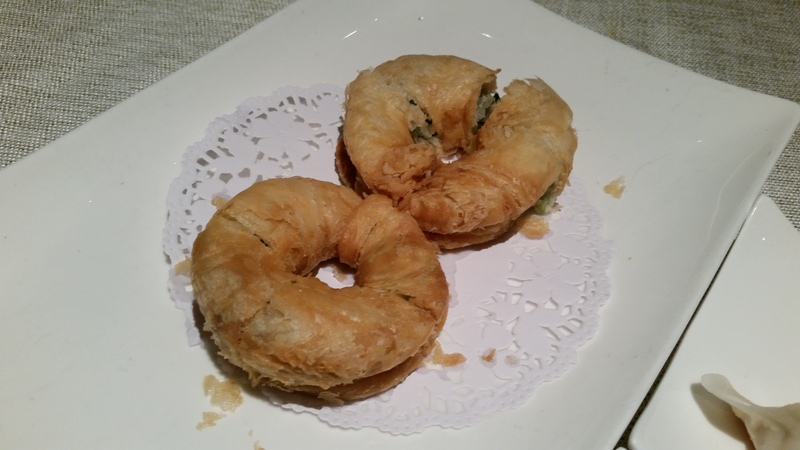 the pastry was flaky and light, encasing a generous amount of scallions that were fresh, crunchy and well-fried. even though it was deep fried, it wasn’t too oily and was very tasty. 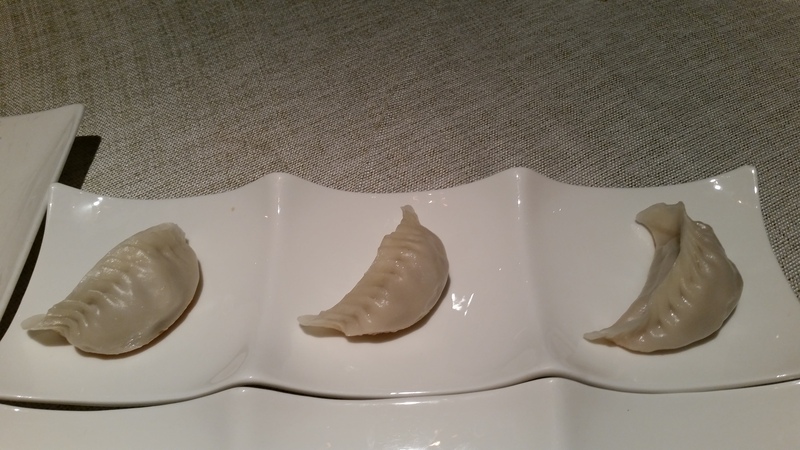 they were big, the dumpling skin was extremely smooth, fine and thin, and they were generously stuffed with yummy pork and fresh vegetables. i’m sorry i don’t have the exact name and price of this bowl of noodles, but it was really good and i’d certainly order this (or any other bowl of noodles to try something new, for that matter) again when i return. 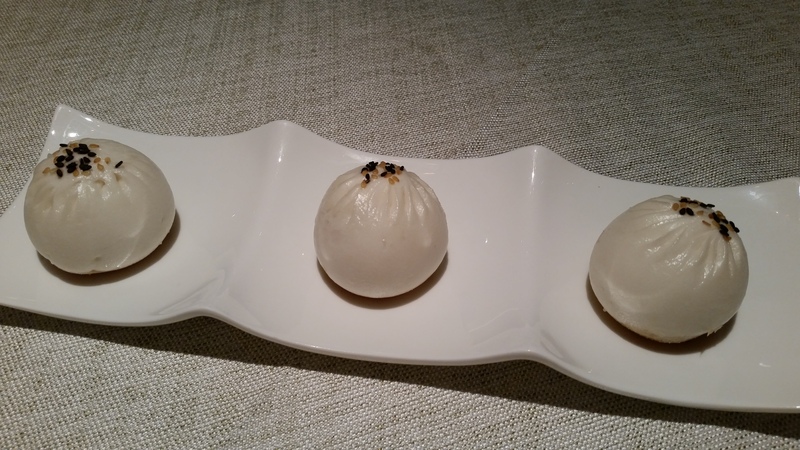 imperial treasure shanghai cuisine is a great place for a spot of shanghainese treats. 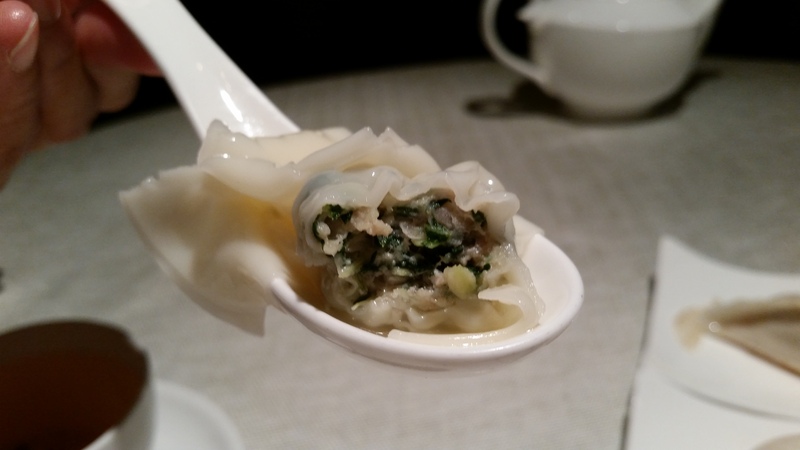 besides the divine dim sum offerings, they also serve a range of main dishes and more substantial food for a full-blown chinese banquet. because not many people know of or pay much attention to its existence, i’d say their xiao long baos are a hidden gem (for now, at least). reasonable prices (our total bill came up to less than $40 if i remember correctly), great ambience, wonderful service, delicious food and a convenient location smack in the middle of orchard road – what more can one ask for? definitely worth a try!